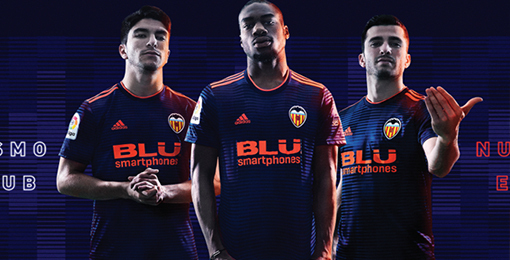 If you want to buy cheap valencia shirt for 2018-19 season, buy it here in cheap-football.com , Check our exclusive range of valencia Football Shirts / Soccer Jerseys and Kits for adults and children at amazing prices. Get the cheap valencia jersey shirts, soccer kits with wholesale price, Free Shipping Worldwide! Valencia was founded on March 18, 1919. In the historical classification of the LFP occupies the 4th place, 3 having played 84 of the 88 editions of the highest category.It is the 4th Spanish club in terms of international titles (with 7 titles) and the 5th Spanish club with the most titles with a total of 22 trophies: 6 League titles, 7 Copas del Rey, 1 Spanish Super Cup, 1 Copa Eva Duarte, 1 UEFA Cup, 2 FA Cup, 2 European Super Cups, 1 European Cup Winners Cup and 1 Intertoto Cup, plus two consecutive UEFA Champions League sub-championships in 2000 and 2001.The club currently occupies the 21st place among the most valuable football clubs in the world, valued at 335 million euros.Valencia CF has one of the great hobbies in Spain, occupying the 4th place in percentage of supporters , only behind Real Madrid .